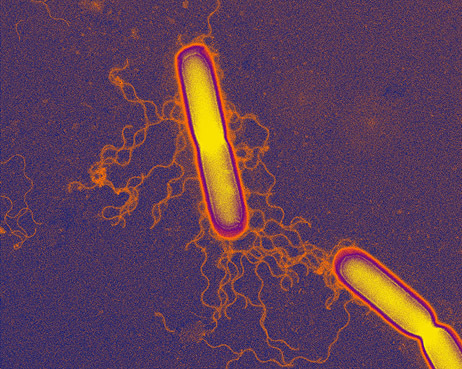 The U.S. Center for Disease Control has raised another red flag about a bacteria that is potentially deadly that might be lurking inside your doctor’s office. This bacteria, C. difficle, is found typically inside hospitals, but a new study released on Wednesday shows that a significant number of people who had not been to the hospital had nevertheless contracted the bug, but had recently visited either a dentist or doctor. The bacteria can cause diarrhea that can be deadly, with the number of infections increasing. The report shows close to half a million people in the U.S. infected in different locations in a 12-month period, with 15,000 deaths that were attributed directly to the bacteria. In a study from 2013, researchers were able to find that C. diff was present in 6 of 7 outpatient clinics in Ohio that were tested, including on chairs of patients and the examining tables. The CDC has become so concerned they are beginning a new study attempting to assess nationally if people are being infected from C. diff at doctor’s offices. Patients should always wash their hands after a visit to the doctor’s office with water and soap, because gels that are alcohol based do not eliminate C. diff. One other big tip is to question the doctor when prescribed antibiotics. Powerful antibiotics that are broad-spectrum wipe out the body’s good bacteria in the gut that fights off bad bacteria, which can lead the way to having C. diff. A safety expert at John Hopkins hospital recommends speaking with you medical care provider to see how necessary the antibiotic is and if there is something less powerful that will still treat an infection then use it and make sure the prescription for the antibiotic is the shortest period possible. The study by the CDC published on Wednesday said that 150,000 people who were not in the hospital contracted C. diff during 2011. Of that 150,000, 82% visited a dentist’s or doctor’s office sometime during the 12 weeks prior to being diagnosed with C. diff.